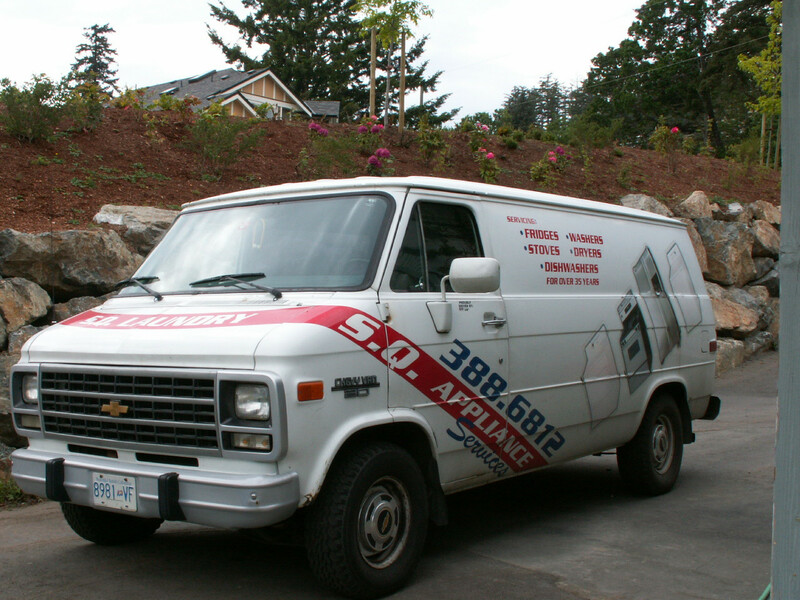 I was just wondering if anyone had any pics of their service vehicles. 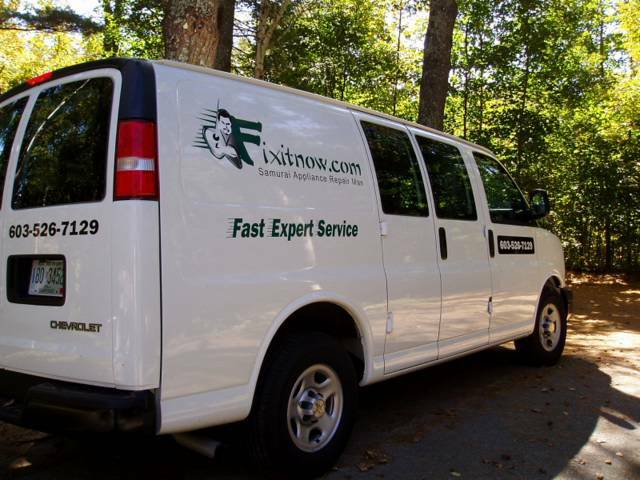 I'm getting ready to re-letter our service van and would love to see other examples. 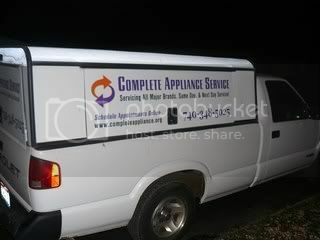 Need appliance parts? Call 877-803-7957 now! 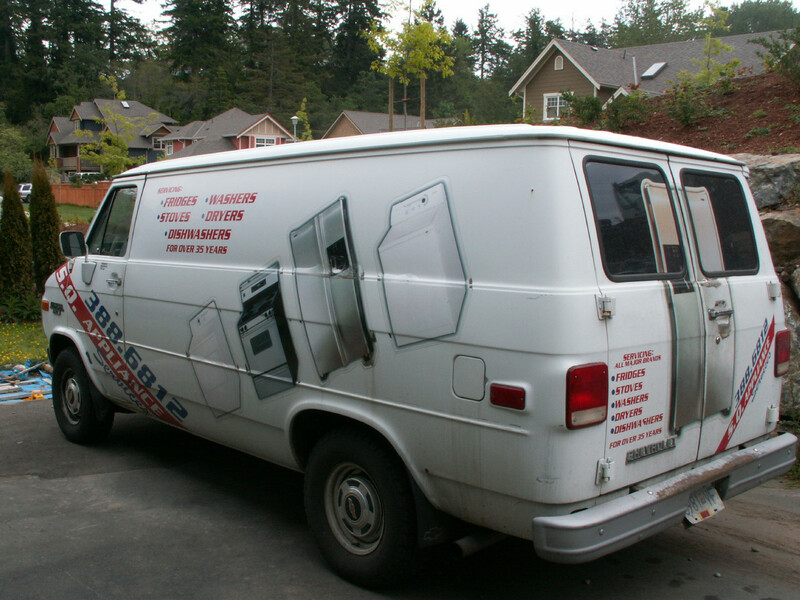 Post pics of your van when the decal job is done! I keep mine pretty simple. 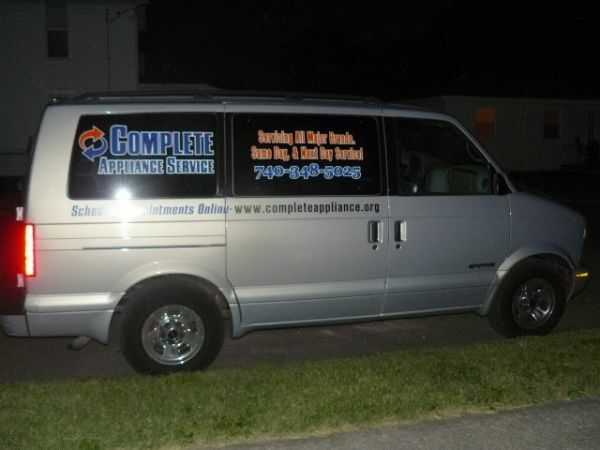 Here's my newest van - a 2007 Chevy Express 1500.
do you guys think a web address helps on a van? ad. I am thinking of getting more. Mine is kind of plain! Whoooo-WEEE! Some mighty fine lookin' fixum vans. Sho 'nuff! It has about 200,000 miles on it and has served me well. Parked next to it is my 1978 245DL, it has over 200k on it and was the first service vehicle I used. If you have noticed the lack of advertisement on them, its because most everybody here already knows who I am and what I do. Yeah, people are always amazed at how much you can pack in one and I get around 28 mpg on the highway. Guess I couldn't help it. 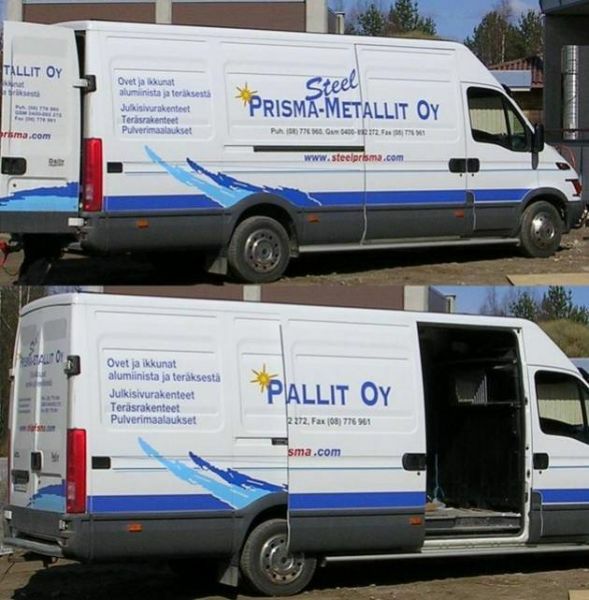 Translation: Prisma-metallit OY (company that makes window and door frames from metal)... with the side door opened, it seems to say PALLIT OY (balls). 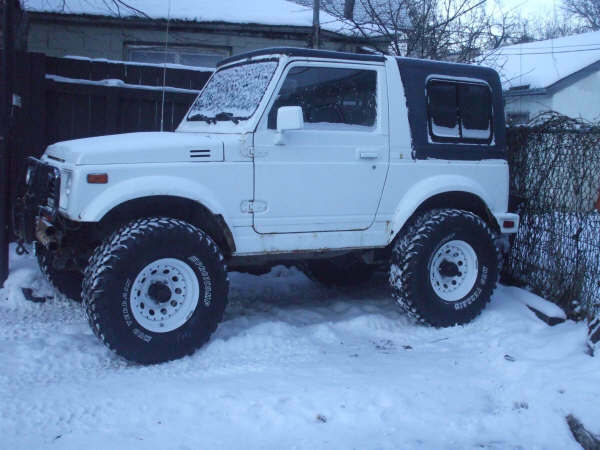 The one vehicle Suzuki is trying to forget due to it's rollover problems. along these lines I'm thinking about getting a mini van I have a 2005 Chevy S-10 now . 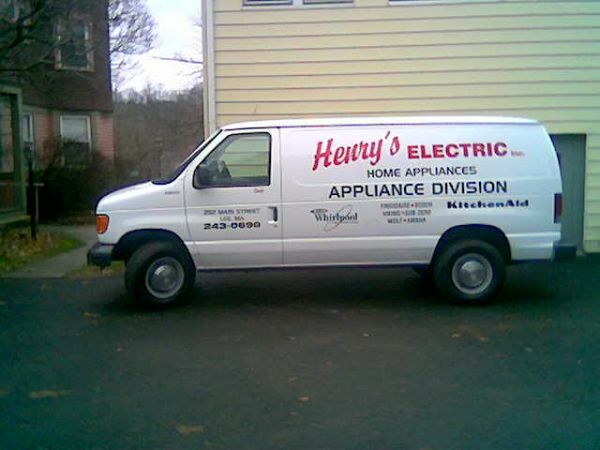 I think i like the look of the "wrapped " work vans(a little expensive but very catchy). any thoughts or should i just ad a reading style box to the back? 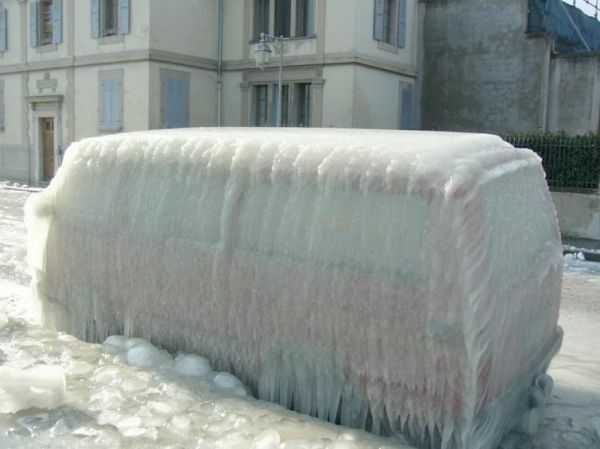 no more van photos out there? i am still trying to come up with a nice logo or design. The more I learn, the less I know. Flavorite Brew:IPA's and red fruits of the vine. Nice Samurai, BrntToast! I love the looks of them, i'd like to get one in good condition some day. Perfect Baja rig!